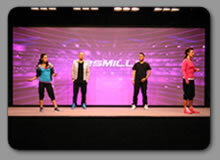 Les Mills instuctors DVD records, we provide background looping visuals and mixing for these live records, all content delivered by our media servers in full HD. Seven by five plasma wall. Christchurch Square, New Years Eve 08. 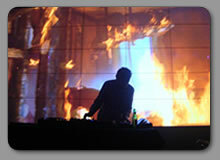 Four by Three plasma wall, with the front two rows infront of the DJ table. Images supplied by MadCap Touring. OSB Truck launch. A small party to celebrate OSBs' latest HD broadcasting truck. All content in full HD (1080p). Koru Care Charity Auction '09. 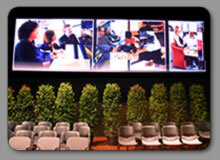 Three projector seamless blend with one of our media servers providing animated background textures and cued audio visual stings. WINTEC '11. 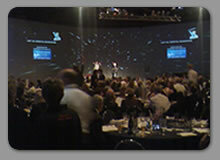 WINTEC graduation ceremony, we provided screens, presentation and camera mixing for this event, Eight by four plasma wall flown above stage. 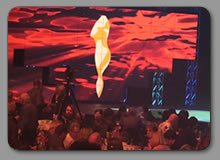 Rotorua Wearable Creations 'n Colour Awards. 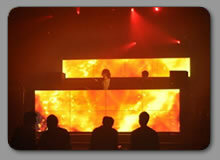 We provided plasma walls and tech support for all four venues in the tour. Images supplied by MadCap Touring, visual art by Harry Silver. Visual artists shouldn't have to worry about the tech. 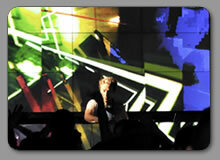 An example of DMX pixel mapping of Martin Stage Bar LED fixtures. Custom-made 2k video content using photos and designers preliminary sketches. 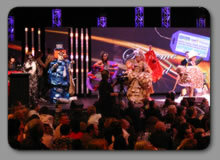 Rotorua Wearable Creations 'n Colour Awards. 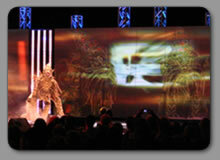 Another example of custom video content created for this yearly event. 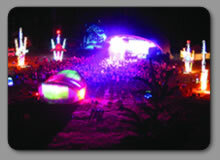 Alpine Unity Main Stage. 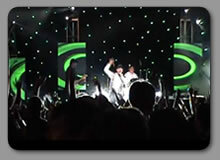 We provided AV technicians and lighting operators for this outdoor music festival.